He Was, and Will Always Be, "The Greatest"
Muhammad Ali passed away last night. He was 74 years old. To say that he was one of a kind would be, at the very least, a huge understatement. 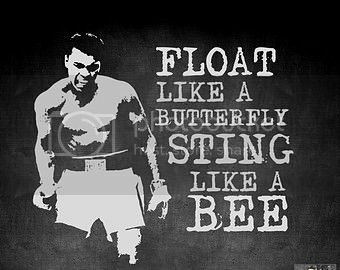 Even if one strongly believes that boxing is too violent a sport to be glorified under any circumstances, I hope you would agree that the passing of this great man justifies an exemption from that belief. Read more about He Was, and Will Always Be, "The Greatest"